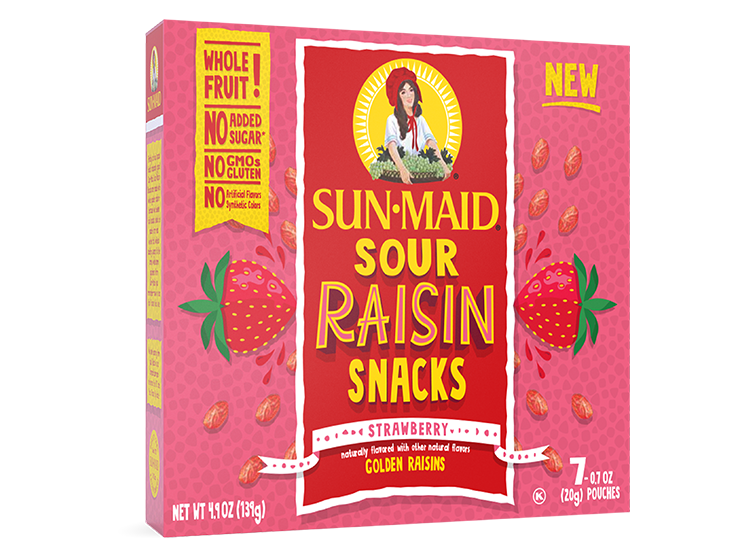 If it’s called a fruit snack it should be fruit, right? 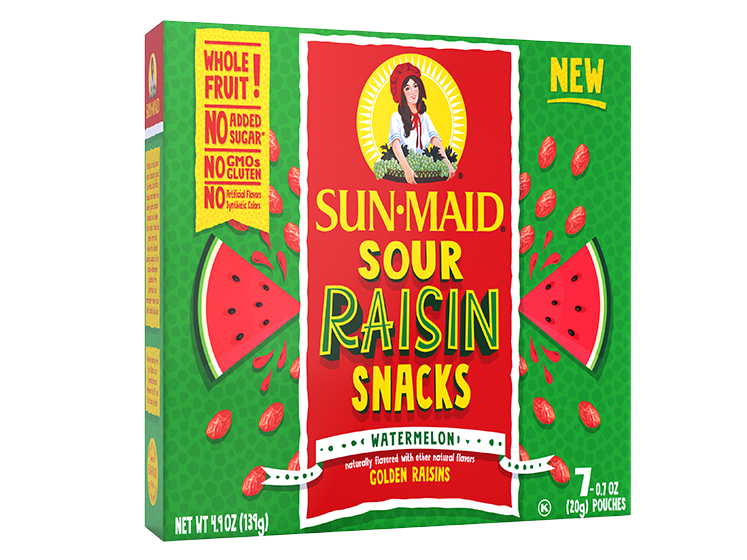 At least that’s our take. 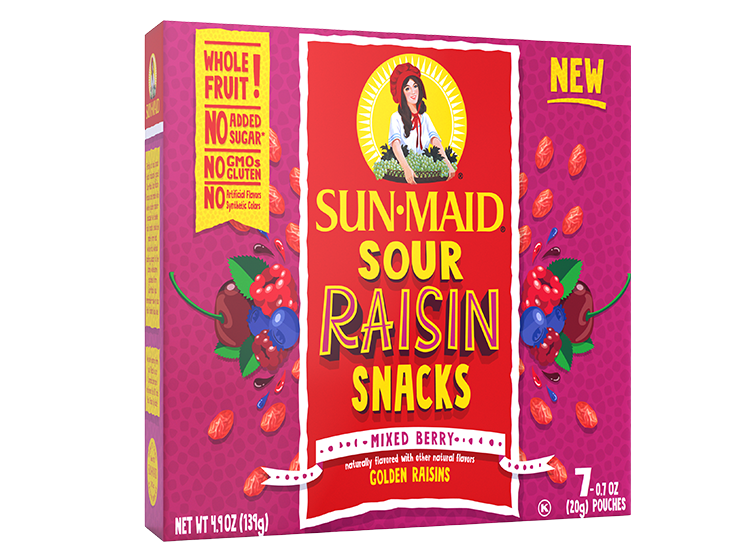 Naturally sweet and wonderfully sour, Sun-Maid Mixed Berry Sour Raisin Snacks are simply whole raisins with real fruit juice flavoring. 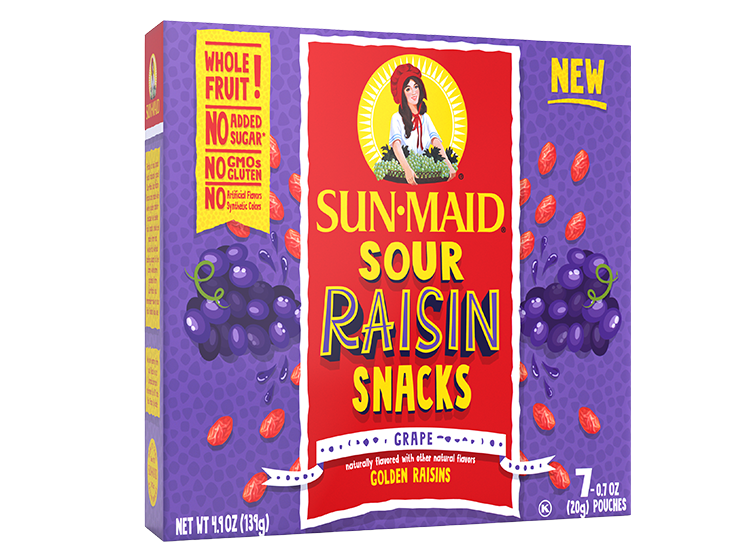 Who would’ve thought a healthy fruit snack this complex would come from something so simple?